When your car faces with dangerous collision, there are a lot of consequences that you need to take care of. 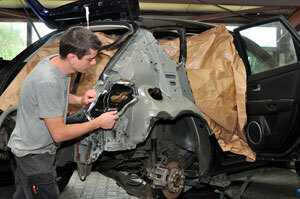 City Center Collision Services will help you to restore the functionality of your vehicle. Our auto mechanic at auto repair shops will help you to get back on road safely. Our auto mechanic professionals are experts at auto repair shops. We provide with auto repair JBLM and high-quality services to clients from the year 1998. After the completion of our process, our auto repair JBLM will deliver your vehicle to you within the due time. Why choose us as your Auto Mechanic in JBLM? When you are looking for certified auto mechanics for emission repairs, you can trust us with auto repair JBLM services. Our auto mechanic will look after your custom car repairs when your car faces with any collision. Contact City Center Collision Repair Services at 253-948-4655!